In Florida we have more than 180 butterfly species, which includes 170 native/newly established species. We have the highest number of butterflies east of the Mississippi River, so Florida is a perfect spot for butterfly gardening. Butterflies are important because they are pollinators and provide natural pest control. My bucket list has included the migration of monarch butterflies, and I have successfully checked that “to-do” off my list! I vacationed in Mexico to view the monarch butterflies (Danaus plexippus) prior to their leaving two mountain sites for the United States and Canada. Each fall monarch butterflies from the eastern United States and southern Canada travel up to 3,000 miles to central Mexico mountains for the winter, generally from November to some point during the following March. This includes Florida’s monarch butterflies. 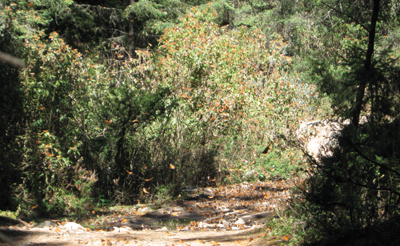 The first monarch site we visited was El Rosario, located in the state of Michoacan in the mountains near Anga- ngueo, approximately 100 miles west of Mexico City. 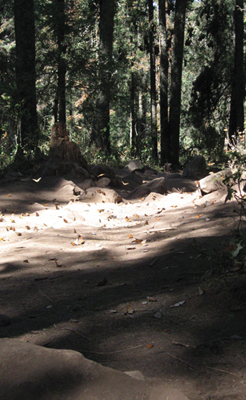 El Rosario is the most easily accessible monarch viewing site. This overwintering site generally has more than 100 million adult monarchs, and this year, we were told there were 150 million at this site. There have been several recent media articles about the plight of the monarch butterflies, and the best news is that it appears there has been a reverse in their decline. We witnessed one burst of butterflies leaving a cluster, which was truly amazing. The monarchs were landing on us and on the ground, which at this site was pretty flat. We could hear the movement of their wings, like leaves rustling in trees. The second adventure was to Sierra Chincua, 10,000 feet elevation, and a more isolated site. Frost was on the ground as we started our trek up the mountain. This was more physically challenging because the viewing area was at a significant slope. There were 130 million monarchs at this site. All viewing areas are roped off, so the general public must remain in specific areas and there are volunteers making sure this happens. Those of us who love gardening want to attract wildlife to our landscapes. In order to create a butterfly garden which will attract these winged beauties, we need to know about their life cycles and survival needs. Butterfly life cycles are comprised of four stages: egg, larva (caterpillar), pupa (chrysalis), and adult. Females lay eggs which hatch in a few days on host plants. Larvae have a large appetite and quickly consume larval host plants, which is the reason we plant them. When the larva is fully grown, it attaches itself to a branch, twig, or even part of your home’s exterior overhanging surface until the butterfly emerges from the chrysalis. Butterflies need host plants for larvae (most important) and nectar plants for adults (less important because of the availability of many alternative nectar plants). Non-native milkweed, such as the Scarlet milkweed, has become invasive and can alter monarch butterfly migration behaviors. For a list of native larval host and nectar plants, refer to the Native Habitats document, Web address below, which also contains the link for Asclepias species that are native to each region in the United States. You can also contact your local native plant society for additional information and consider joining that organization. 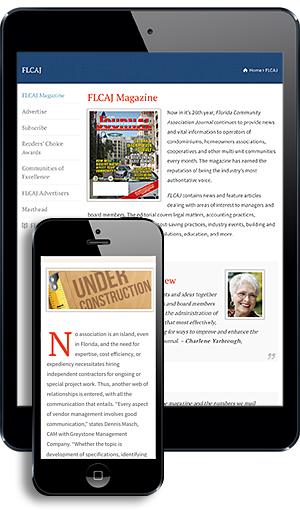 The information contained in this article was adapted and extracted from the documents above. For assistance with horticultural questions, call your local UF/IFAS Extension office. More gardening information is available at your local Extension office website and edis.ifas.ufl.edu. Remember to reduce, reuse, recycle, and repeat. As always, follow the landscape or architectural control procedures in your deed restrictions before making changes.